Visual artists are the only members of the creative community in the U.S. that do not receive residual payments for the later sales of their works. Composers and lyricists will collect some two billion dollars this year in royalties for their compositions, distributed by their rights societies, chiefly ASCAP and BMI. Playwrights and screenwriters get public performance royalties. Actors in film and TV get residuals. Unfortunately, visual artists do not earn a penny in residual or resale payments. The benefits derived from the resale of their works accrue entirely to collectors, auction houses, and galleries. The history of the right goes back to France which adopted the resale royalty nearly 100 years ago, in 1920. There, and in the rest of Europe, the resale right is known as the Droit de Suite. A European Union directive of 2001 (2001 / 84 / EC) mandated the adoption of the droit de suite by all European member states, and now a harmonized resale royalty rule exists in the EU countries. Some 60 additional nations have the resale right as well. 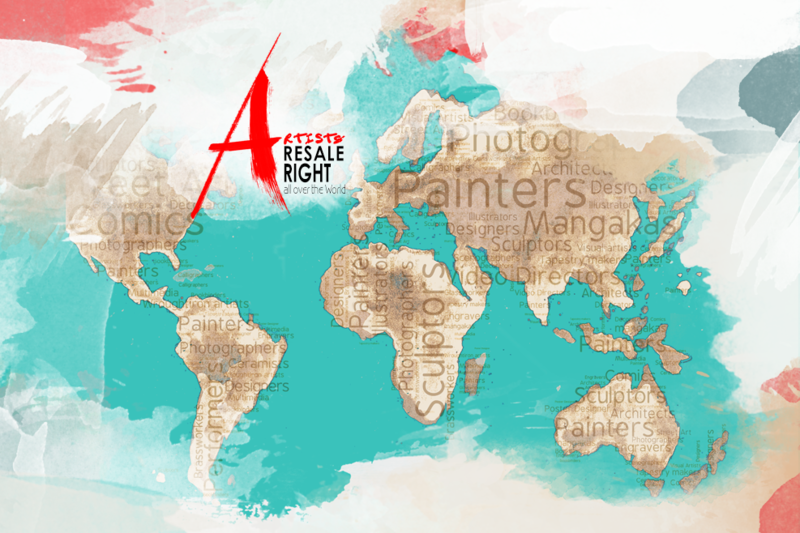 Proposal for the Adoption of the Resale Royalty in the U.S.
A bill calling for the adoption of the resale royalty is currently pending in Congress as the ART Act, H.R. 1881 and S. 977. Your support for this bill will be of inestimable help in demonstrating the stance of the artist community in favor of this long overdue right. Could you therefore kindly add your name to this petition as an expression of your support for The Art Act by signing the petition below?